Call Rich Jackson at 203-951-6066 for more information about our Mazda and Volvo dealerships, or stop in to check out the new Mazda 3! When it comes to cars, whether you are a fan of luxury, driveability, or a more sporty vehicle, CT’s Own Volvo and Mazda of Milford, CT can deliver you the car of your dreams. We are a Volvo and Mazda dealership located on 915 Boston Post Road. If you want a first-class shopping experience and a team that truly cares, come to CT's Own Volvo and receive the treatment you deserve in the Milford, CT area. We'll take the time to get to know you as a person rather than just as a customer, which helps us better serve you. We don't want to waste any of your time, energy or money, so we streamline our process and always look for ways to improve. 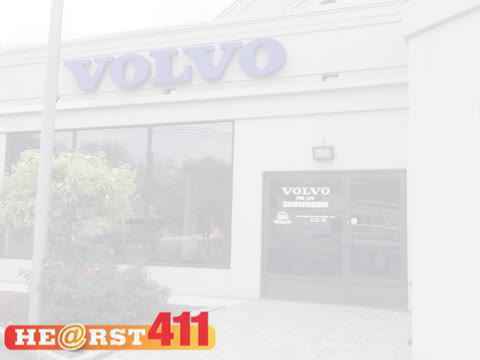 To experience the true difference that CT's Own Volvo provides, come by and visit today! What sets CT’s Own Volvo apart from most dealerships in the Milford, CT area is our focus on you, the customer. We find out what matters most to you and only lead you to those models that will meet your needs. Plus, whether you’ve come in for a service check or to take a test drive, you’ll always get the best customer service. Stop in, and you’ll see why CT’s Own Volvo is a favorite dealership in the area! Our Mazda dealership is grateful to the support we have received from the Milford, CT community. It is the Mazda and Volvo enthusiasts in the New Haven, CT area that have helped keep cars like the popular Volvo C30, S40, XC70 or XC90 and Mazda B-Series Truck, CX-7, Mazdaspeed 3, and the MX-5 Miata some of the most popular makes on the road today! Come in to see all that our Mazda dealership has to offer! At CT's Own Volvo and Mazda, you can be sure to get that perfect vehicle. If you are not in the market for a new car or truck, Mazda of Milford carries a large selection of used Mazda and Volvo cars, trucks and SUVs. Open Monday through Saturday, there is no better time than now to come in and look at everything CT's Own Volvo and Mazda has to offer you in your search for a new or used vehicle. Our Mazda dealership sells brand new vehicles as well as pre-owned Mazdas and Volvos that are in fantastic condition. We offer a huge selection of stylish cars all at a variety of affordable price points. Try out the popular new Mazda 3, one of our most fuel efficient compact cars on our lot! With great gas mileage and 184 horsepower, it has become one of our best sellers. Stop by our dealership and test drive the sleek new Mazda 3. The Mazda 3 is a beautifully compact model, known for its style, speed, and maneuverability. Visit CT's Own Volvo to test drive a new Mazda 3 and see for yourself how you'll turn heads! The newer models are even more beautiful, safe, and fuel efficient. Stop by our Mazda dealership in Milford, CT to check out our selection! 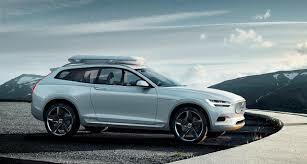 CT's Own Volvo and Mazda of Milford, CT offers a variety of financing options. Whether you are interested in a new Mazda 3 or a used car, our finance team will help you get monthly payments that fit your budget. Just think, you can finally set up a plan to get that new Mazda 3 you have always wanted! Mazda of Milford has the inventory you're looking for and also carries a complete Mazda and Volvo parts department with OEM Mazda parts. Within the service department, the factory trained ASE certified Mazda and Volvo technicians at Mazda of Milford are the ideal choice for keeping your new or used car running like new. Located within driving distance from Fairfield County, Connecticut’s Own Volvo makes it easy to get parts for your new or used car, truck or SUV anywhere in the New Haven, Bridgeport, and Derby Area. CT's Own Volvo and Mazda of Milford also has a great service department and body shop! Now CT’s Own can be your one stop shop if you’re looking for a Mazda or Volvo Dealership, so stop in for all your Mazda and Volvo needs! CT's Own Volvo Mazda is the preffered Mazda dealership for Milford, CT and surrounding areas. Call or stop in today to test out a new Mazda 3 and browse the selection of amazing vehicles we carry! CT's Own Volvo Mazda is located on 915 Boston Post Road in Milford, CT. We are the area's favorite Volvo and Mazda dealership. It is the Mazda and Volvo enthusiasts in the New Haven and Milford, CT area that have helped keep cars like the popular Volvo C30,C70, S60, S80, XC70 or XC90 and Mazda 3, Mazda 6, CX-7,CX-9 and the MX-5 Miata some of the most popular makes on the road today. Visit us to check out the new Mazda 3! 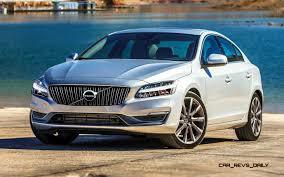 We are a Certified Volvo and Mazda Dealer carrying all off brand Pre owned vehicles such as Nissan, Jeep, and Subaru!